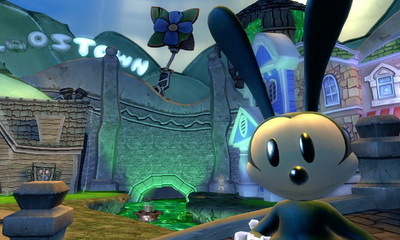 I never finished the first Epic Mickey because all the back and forth just got to be too boring. If they can fix that in the new film, I’m in! In the new game, for the Wii, you now get a chance to employ “The Power of Two”. No, that isn’t a cheesy 80’s ballad, it is a 2-player system where you can use both Mickey and Oswald (For the first time). Like the first one, this one is also designed by Warren Spector. One bit of information that he’s divuldged so far is that this game will have a more musical feel than the first.